When you notice mold in your business it’s likely that you will want to begin the remediation process as soon as possible. 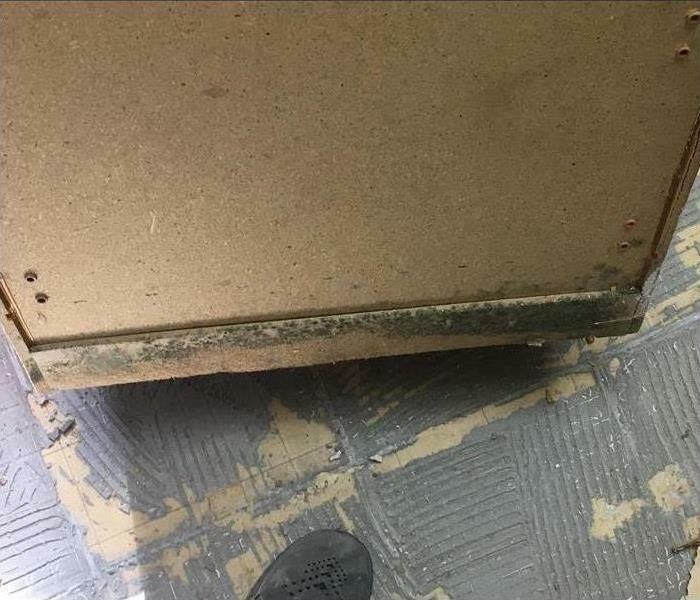 When you notice mold in your business in West Haven, TN it’s likely that you will want to begin the remediation process as soon as possible. However, it’s often important to understand the types of equipment and methods that are used to protect everyone throughout the process. Small spores can easily spread if they are caught in someone’s hair or on someone’s clothes, which is why a variety of covers are commonly used during mold remediation. Before entering a building with mold, people often put on covers for hair, clothes, shoes and hands. Generally, disposable covers are preferred since reusing covers of any kind can make it easier for mold to spread. In addition to using covers to prevent the spread and regrowth of mold, containment methods are often important during mold remediation. Experts in mold removal will work to contain the area affected, which helps to protect the unaffected parts of the building. All fans are turned off to minimize the airflow and physical barriers are also often used to make it difficult for the mold to move further in and around the building. A respirator, or face mask, is often an important piece of equipment used during mold removal. In order to thoroughly assess a business, professionals often must get close to the source of the issue, which means exposing themselves to mold. A face mask that filters the air is especially useful if black mold is present in a building. However, even if less harmful types of mold growth are present in a business, it’s often wise to use face masks as a precautionary measurement. Overall, the face masks help to minimize any adverse effects of mold. The right equipment and procedures can protect everyone involved in the mold remediation process. Covers, containment methods and masks are often used to keep people involved in mold removal safe. For more information on Emergency Preparedness, contact your local SERVPRO® of Cedar Bluff Professional. Experienced disaster response professionals have the tools and know-how to find leaks, identify their source and grade the water quality. As a West Hills, TN business owner, you probably do all you can to ensure your building and property does not suffer damage from preventable danger. However, not all potential problems are apparent to the naked eye, and when issues like fires and floods do happen, the expense of raised insurance premiums and making a claim can be considerable. However, calling in a professional disaster response team to pretest your business could lower those risks. As well as you know your business, there may be dangers you are not aware of. Even small problems can cause major damage, such as slow leaks causing a burst pipe and a major flood in your employee restroom over the weekend, when plumbing services may be difficult to obtain. 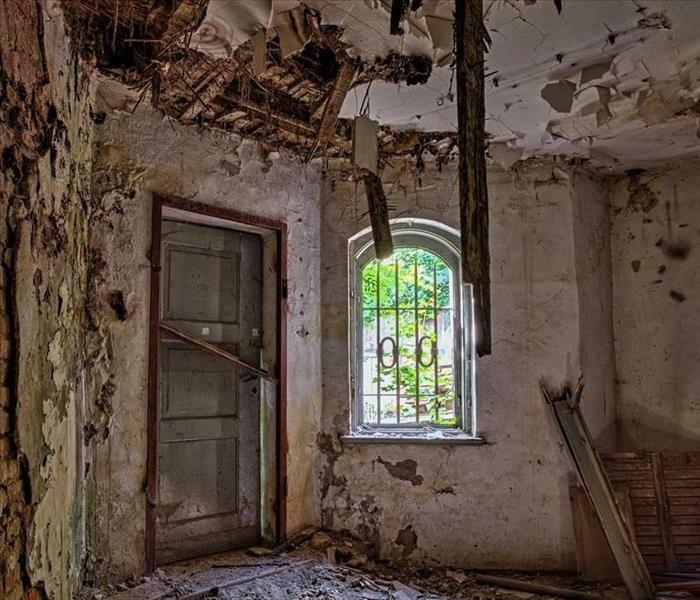 A thorough inspection of your building can prevent these circumstances and make you aware of what potential problems need attention before they have the chance to grow. If you suspect you have a leak somewhere in your building but want to avoid having to file a large insurance claim, calling for pretesting services may be a solution. Experienced disaster response professionals have the tools and know-how to find leaks, identify their source and grade the water quality. 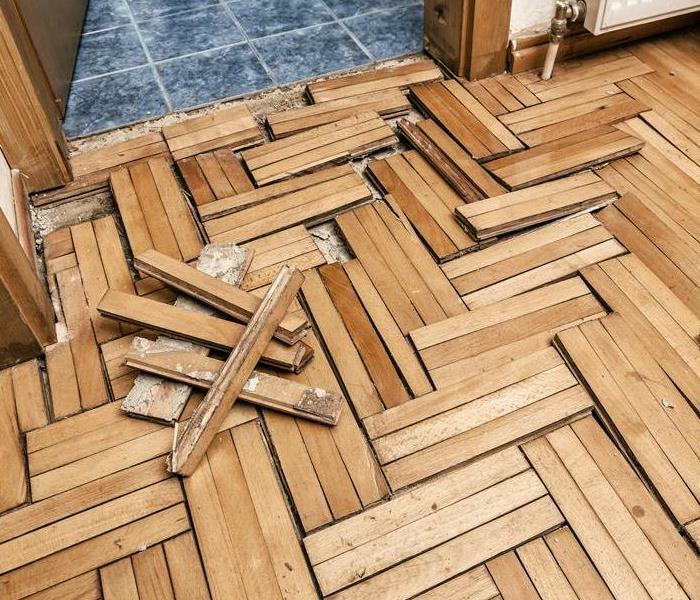 This may prevent damage to floors, drywall and inventory, as well as the need to contact your insurance agent. A disaster response and mitigation service can perform preventative testing on your building to gage the likelihood of a fire or flood occurring as the result of aging plumbing pipes or dangerous storage practices. 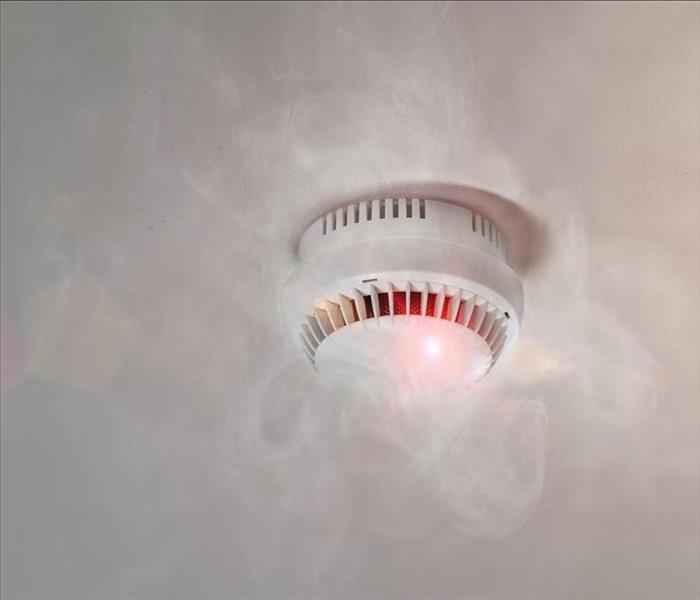 The more you know about your building and how your business practices might be affecting the possibility of disaster, the faster you can take steps to prevent it. Your West Hills, TN business is likely your greatest investment. Calling in a service that specializes in pretesting can help protect it and lower the risk of you having to file costly insurance claims. Upon discovering a water incident in your residence, you should investigate the cause and contact your insurance consultant. When faced with a residential water mishap in West Haven, TN it can be helpful to understand the process of filing an insurance claim. 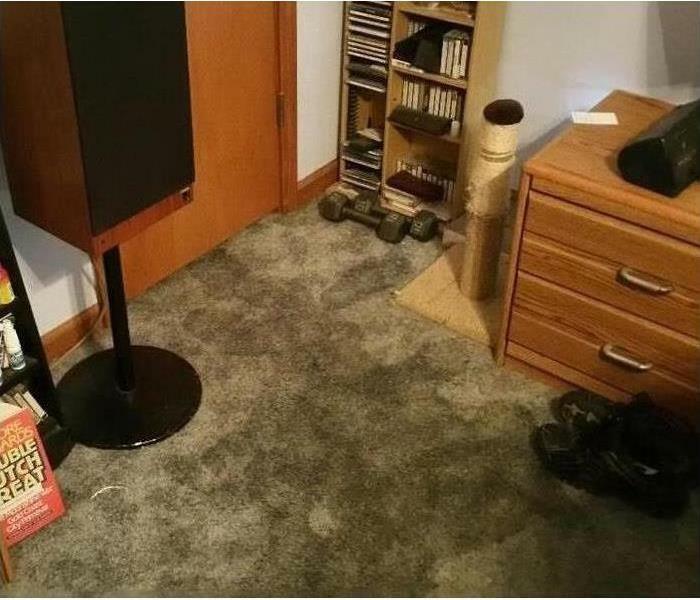 Water damage is caused by varying circumstances. Flooding can come as a result of a natural disaster or by simple human error. In many cases, water moves quickly and can leave extensive damage. By working closely and immediately with your insurance company, you can do your part to correctly file a claim and potentially receive reimbursement. Ask about the procedures for opening a claim and request all necessary documentation. Once you have received the needed forms, complete and submit them as soon as possible. This can help with the timeliness of processing your insurance claim. Many insurance companies will send a local adjustment agent to your home to inspect and assess damages. An adjuster’s job is to gather information and predict reasonable costs for repair or replacement of the affected household goods or structure. To make this visit more efficient, be prepared to show and explain the cause and effects of the water damage event. Because of the time needed for filing, inspection, and reimbursement, many homeowners have to begin the cleanup and repair process on their own. If you choose to hire a flood clean-up professional to help you get the water under control, be sure to document the damage with photographs and keep receipts. You can submit these later for repayment after your insurance claim gets approved. As you hope to get a refund for residential water damage in West Haven, TN be sure to follow the guidelines laid out in your home insurance policy. Stay on top of the insurer-specified timeline to obtain prompt compensation for a pipe burst or other water emergency. It’s important to begin the mold cleanup process soon after mold is noticed in order to reduce the amount of damage that occurs. If you spot mold damage in your home in West Haven, TN it can be easy to feel overwhelmed and uncertain about what to do next. However, reacting appropriately to black mold in your home can help to prevent major damage from occurring. A moisture problem is often a primary cause of mold growth in a home and eliminating the flow of water or decreasing the amount of humidity in a home can be helpful. To prevent water from causing more damage, it is sometimes helpful to turn off the water entirely. Using old towels to soak up large amounts of water can be helpful, though it’s often wise to throw them away after they’ve been used. Although it’s not possible to contain every single spore of mold, preventing mold from spreading and growing in other areas of your home is important. Containment methods to prevent black mold growth can include turning off your home’s HVAC and not using fans to lessen the airflow in the home. Often, professionals in mold remediation can use more advanced methods to contain mold. Often, it’s important to begin the mold cleanup process soon after mold is noticed in order to reduce the amount of damage that occurs. Professionals can assist in removing damaged items from your home and can attempt to restore your belongings, though restoration isn’t always possible, and many items may need to be replaced if the damage is extensive. Providing information to your insurance company can often be helpful during the claims process, and it can be helpful to document the damage by taking photographs and writing down items that are damaged. Although black mold can be detrimental to your home, knowing how to react can help you feel more in control of the situation. Keeping your home dry, taking steps to contain the mold and quickly starting the cleanup process are helpful steps to take if your home has been damaged by mold. If you think you might have mold damage in your home, give SERVPRO of Cedar Bluff a call. An insurance adjuster often serves as a go-between for homeowners and insurance companies, providing both parties with information about the damage that has occurred. A restoration company can often help adjusters and homeowners throughout the process of restoring damaged homes in Knoxville,TN. When a disaster occurs, communication between homeowners, adjusters and the restoration professionals is often essential. A restoration company can provide adjusters and homeowners alike with relevant information about the approximate costs of restoring the affected areas and can also suggest a variety of solutions. Armed with helpful information about the state of the home and potential fixes, adjusters and homeowners can make informed decisions as they move forward in the claims process. The quality of a restoration company can greatly impact the time it takes to make an insurance claim. If a company takes a long time to begin assessing a home, this can increase the amount of time it will take for a claim to be made. Alternatively, a restoration company that is able to respond to a disaster in a timely manner can present findings to the insurance adjuster and homeowners, therefore allowing a claim to be made quickly and ensuring restoration can begin quickly as well. Whether a home has been impacted by a fire, mold growth or flooding, leaving a damaged home untouched can be a costly decision. Within hours of a disaster occurring, items within a home can become badly damaged, and the structure of a damaged home can become impacted soon after a disaster as well, ultimately increasing the cost of the claim. An experienced restoration company can often lower the cost of the claim by mitigating damage to personal belongings and to the structure of a home. An insurance adjuster and homeowners can benefit from choosing a reliable restoration company after a home is affected by a disaster. SERVPRO can share important information with adjusters and homeowners and can make the claims process quicker and less costly. 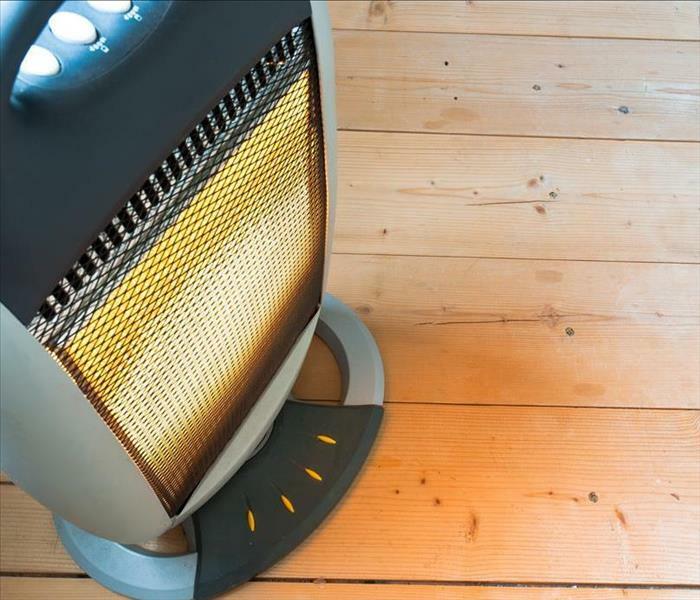 Keep anything flammable at least three feet away from heating equipment, like the furnace, fireplace, wood stove or a portable space heater. Have a three foot “kid-free zone” around open fires and space heaters. - Remember to turn portable heaters off when leaving the room or going to bed. -Always use the right kind of fuel, specified by the manufacturer, for fuel-burning space heaters. - Have heating equipment and chimneys cleaned and inspected every year by a qualified professional. 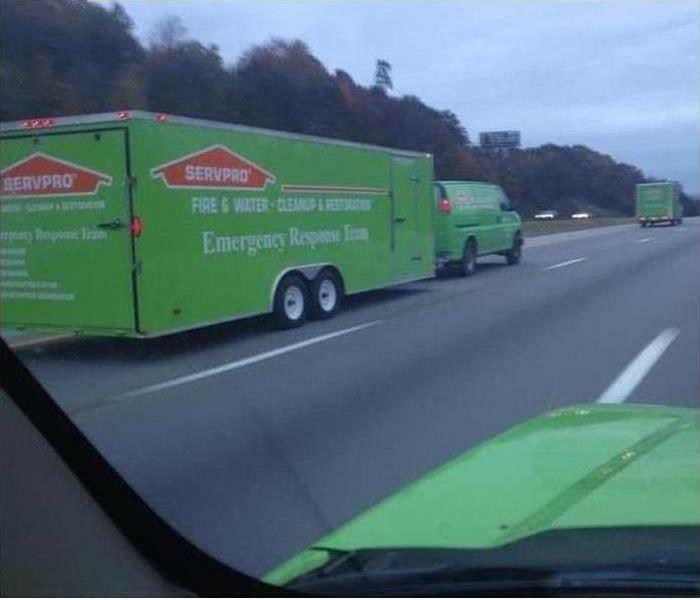 If your property does suffer fire damage, contact SERVPRO® of Cedar Bluff. Frequent inspections can catch issues, such as a roof leak or a leaking pipe. Making repairs to your business in Haven, TN due to a roof leak or other issues caused by wind damage can be frustrating and costly. However, there are several ways you can minimize the impact that strong winds have on your business. 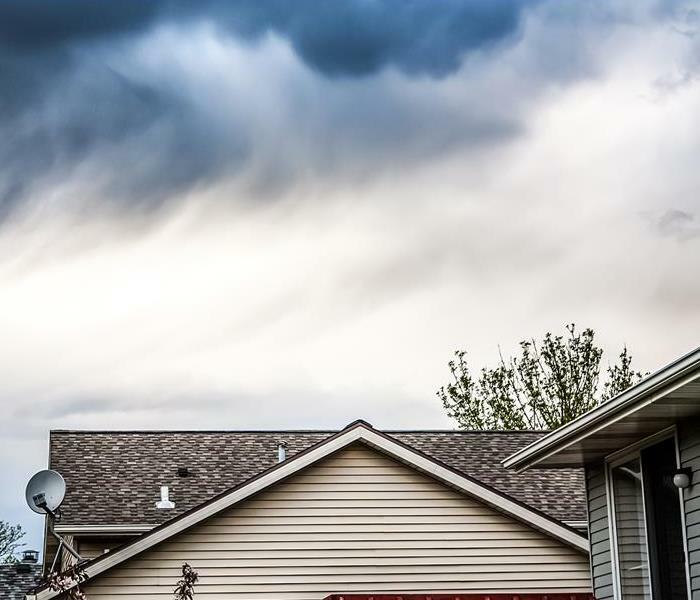 Storms with high winds often result in major damage to a building’s roof, and after a strong storm, it’s not uncommon for a roof to be missing shingles. If you know that a storm is coming, it can be helpful to take precautions that can help to protect your roof. Placing a durable piece of tarp on the roof can help to prevent wind, rain and debris from causing damage to your building’s roof. Often, a minor issue that is present before a storm can turn into a major problem after a storm occurs. However, in order to fix a minor problem, you have to first be aware that the problem exists. Frequent inspections can catch issues, such as a roof leak or a leaking pipe, before a storm occurs. By having frequent inspections, you can decrease the likelihood of your business sustaining major damage if a storm does occur. In addition to using tarps and having frequent inspections, it can be useful to assess the plant life near your business. Trees with large limbs are a common cause of damage to buildings if wind levels are high. It’s often helpful to cut large limbs that are close to your building before a storm. Additionally, it can be useful to remove fallen limbs around your business to prevent them from causing damage to your business. Using tarps, making sure your building is inspected frequently and making adjustments to the area surrounding your business can help you prevent issues such as a damaged roof or a roof leak if a storm occurs. If your business has been damaged, however, it may be helpful to work with storm and wind damage restoration professionals.